A motorcycle accident can have a long-term effect upon your life. You are riding down the street, minding your own business, when suddenly a car hits you. You don’t even have time to react or to protect yourself. In that instant, you are injured and are facing a long recuperation or a permanent disability. Williams & Thorson, LLP understand that life can change in just an instant. They will work with you to get the support that you need to focus on regaining your life and your health. Personal injury law is a specialty of Stace Williams and Paul Thorson. They have been representing clients for over 15 years in personal injury claims and have the experience and the knowledge to fight for you. They are well versed in both the law concerning personal injuries, as well as the medical side of injuries, which is essential when dealing with an injury claim. 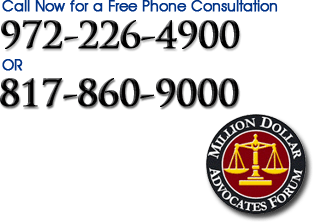 Based in Garland, Texas, these personal injury attorneys will fight for your right to financial compensation. A motorcycle accident can be devastating not only to the victim, but also the family, and their goal is to get you the support that you need to focus on your healing and recuperation. They will work with the insurance company to get you a settlement and, if they don’t feel that it is fair, they will continue to fight for you until they do. The insurance company may offer a settlement, but it is important that you do not sign anything without a consultation with an experienced motorcycle accident lawyer lawyer. Signing prematurely can void your right to future claim and compensation, which can be a financial disaster leaving a victim and their family full of stress and anger. That is why you want and need to retain Williams & Thorson, LLP as soon as possible to get what you deserve. Whether you were injured or it was a family member, you want to ensure that you get what you are merited by law. While it cannot make up for pain and suffering or loss of function, it can take the financial edge off the situation and allow the focus to be on healing. If you have been injured in a motorcycle accident, contact Williams & Thorson, LLP today for a consultation. Call (972) 226-4900 or (817) 860-9000 to discuss your case. What to do when you’re in a car accident?